Advt. No. 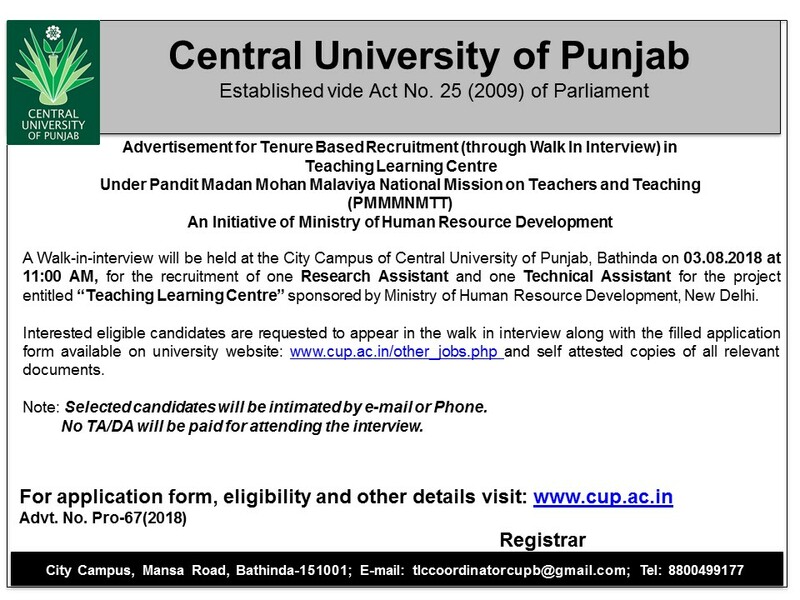 Pro-67 (2018) one Research Assistant and one Technical Assistant for the project entitled “Teaching Learning Centre” sponsored by Ministry of Human Resource Development, New Delhi.